ACME provides high-quality display solutions ranging from rackmount displays to rugged portable displays. For example, our SMK series features a number of slim 1U industrial monitor keyboard. It is the solution for compacting more computing power into limited space. 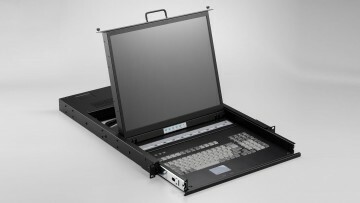 The integrated LCD consoles and built-in KVM switches allow for secure access to multiple computers from a single PS/2 or USB KVM console. 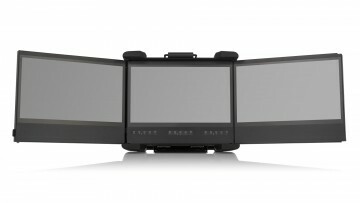 The RMTDU is 3U in height and features triple displays. Our RMDDU series packs two displays in 2U rack space. We also provide a series of rugged displays. Each unit is unique in its own way and was designed to fit all sorts of special applications. A robust portable triple LCD display system built using heavy duty metal to provide a tough, go-anywhere unit. The SMK 920 HD is a single-rail rackmount with an HD display.